Pete is Athlete of The Week! Congratulations to Pete who was recognized as Athlete of The Week! 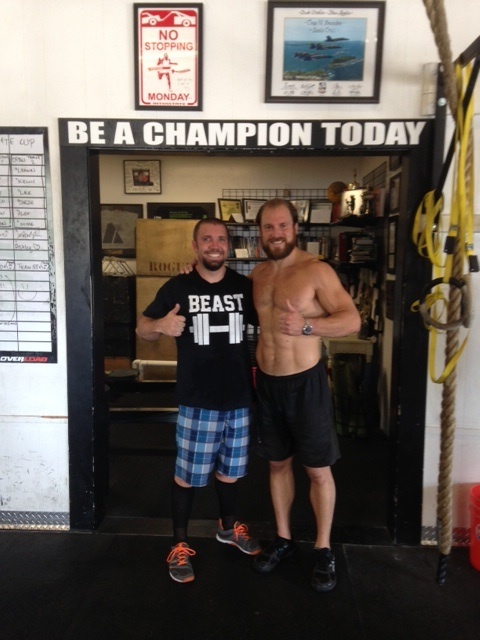 Pete and his wife Kim are two of the most dedicated Athletes at CrossFit Amundson. Pete’s progress in the daily workouts has been incredible to see, and his physical fitness is only surpassed by his mental toughness. Pete is also a huge source of inspiration to his fellow Deputy Sheriff’s at the Santa Cruz County Sheriff’s Office, where he serves is several capacities, including a Team Leader on the highly respected SWAT Team. Congratulations Pete on all your success, both inside and outside the gym. Thank you for your service to our community!